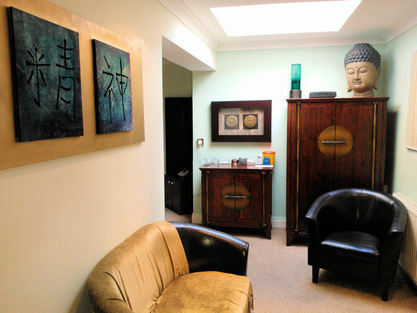 The clinic is set in a warm, peaceful, spacious and relaxing environment. Gentle music is played softly in the background. During treatments clients can relax and be as comfortable as possible. 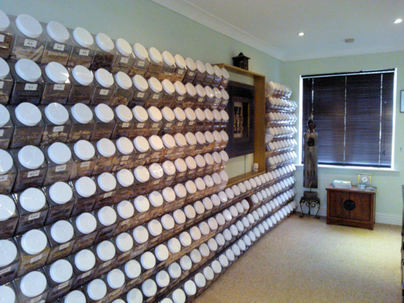 All Chinese Medical therapies, ( such as Acupuncture, Chinese Herbal Medicine and the many others listed on the Treatments Pages ), are available at the clinic. The entire clinic is now also equipped with the latest in infra-red heating technology and ionizing / ozonating systems. This heating system emits a penetrating healthy heat which reproduces the stimulating effect of lying in the therapeutic natural rays of the Sun. While the ionizer / ozonator helps to clean the environment and fill it with beneficial negatively charged ions and healthy ozone. Treatments (by appointment only) are available from Monday to Friday, between the times of 11am to 10pm and Saturday between 10am and 3pm.